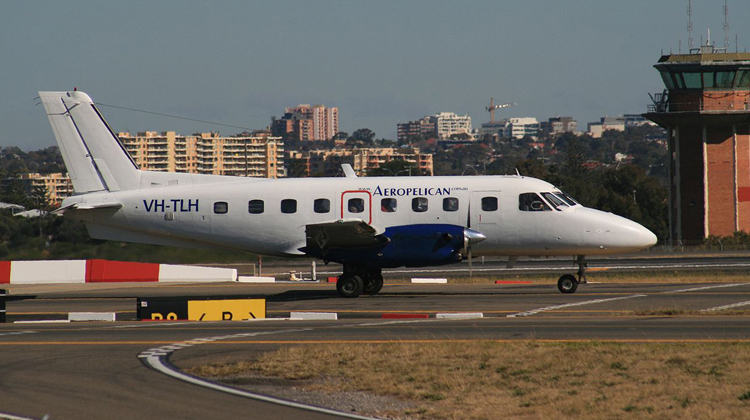 Experience flying on the ever reliable aircraft from Embraer. 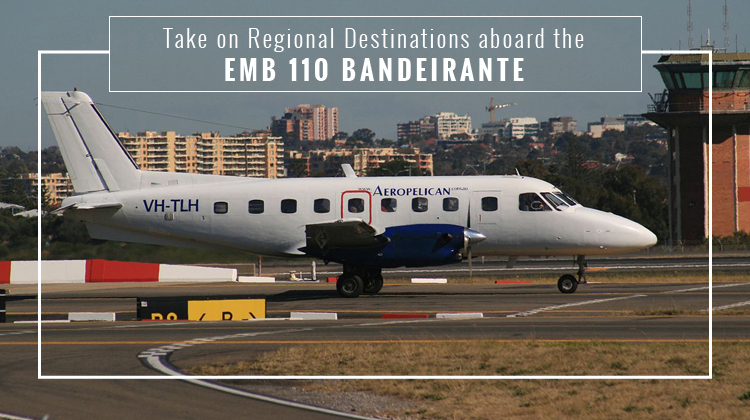 The EMB 110 Bandeirante allows up to 21 passengers on a single, regional flight. If you’re planning to have a leisurely trip soon, this plane has the amenities you’ll need to keep comfortable within a few hours. On another occasion, you can bring your business partners on a regional flight so you can all reach a conference on time. This model has over 500 units built since it got introduced during the early 70s. Over the course of its flying career, the EMB 110 Bandeirante has had over 20 variants to fit different applications. This certainly isn’t a bad statistic for a plane which name literally translates to pioneer in English. This model has been widely used for military, geophysical, touring and many other purposes. With its capacity in reaching higher altitudes, this aircraft was also useful for surveying terrains and bodies of water. This multi-purpose and ever dependable plane continuous to serve the civil and military purposes of various countries such as Australia, United Kingdom, Honduras, and Venezuela. You can enjoy utmost comfort, upon chartering for a private flight aboard the EMB 110 Bandeirante. This aircraft has its corresponding, customized features. Hence it’s highly advisable for you to confirm the specifications of your aircraft before finalizing a flight with your service. Most of the EMB 110 Bandeirante planes have lavatories to accommodate regional destination. You can also ask about the galley’s functionality so you’ll have an even more relaxing flight with access to refreshments. If you prefer more exclusivity and comfort on your trip, see if your charter service also has much fewer seats given the same area. Powered by two Pratt & Whitney Canada turboprop engines, each side of this aircraft can propel up to 750 shat horsepower’s worth of strength. Additionally, the EMB 110 Bandeirante is ever reliable for short range flights. If you have a vacation or meeting from Ontario to Florida, this aircraft is your definite go-to transport solution. Keep in mind this aircraft needs to have at least a 4,035-feet’s worth of takeoff and landing distance. Be sure to agree on a flight plan with strips within the said distance. With over 4 decades’ worth of experience, the EMB 110 Bandeirante continues to be a widely flown around aircraft. This plane was originally designed by a French engineer for the Brazilian Ministry of Aeronautics. Fleets of the plane are currently being flown by AirNow Airlines and the Brazilian Air Force. Embraer also designed this model to lower its operators’ costs while maintaining its level of reliability. Five years after its initial flight in 1968, the EMB 110 Bandeirante received certification to allow for wide distribution. To this day, various configurations of the EMB 110 Bandeirante are usefully flown for civilian and military observance purposes.